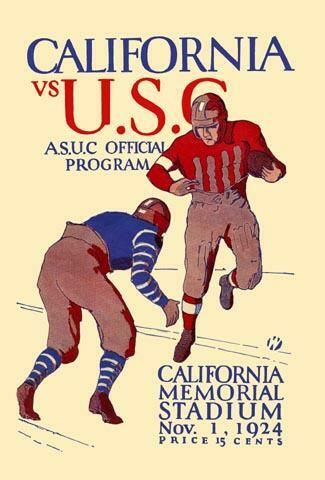 In one of the sublime moments in any football rivalry, the Cal public address announcer took the megaphone just moments before the kickoff, and announced to the crowd the breaking news that the Trojans had just been expelled from the P.A.C. for academic violations! The perenially undefeated Golden Bears then went on to smack down the Trojans with their first defeat of the season.